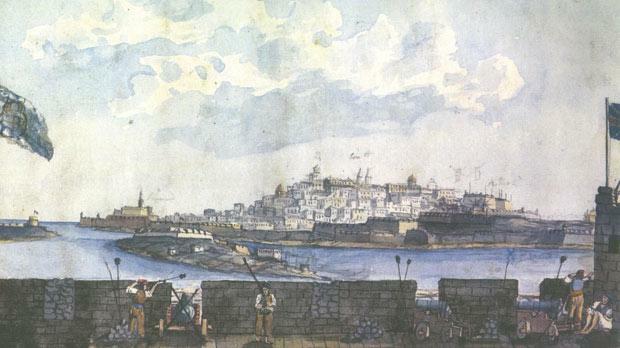 A view of Valletta, taken from the Għargħur Battery (overlooking Manoel Island), during the Siege of 1800. Watercolour by Major James Weir – private collection. The monstrous megaproject destined for Żbibu Lane in San Ġwann will totally annihilate what is left of the battery that had been set up by the Maltese National Congress against the besieged French in Fort St Elmo (see picture). Can the Government and the San Ġwann local council instead apply for European Union funds to have this historical battery restored to its former glory?